Lida Sideris’ first stint after law school was a newbie lawyer’s dream: working as an entertainment attorney for a film studio…kind of like heroine, Corrie Locke. Unlike Corrie, Lida has never been blackmailed, never investigated a suspicious death, an alien encounter, a catnapping, a missing corpse or been involved in a low-speed car chase. Lida lives in the northern tip of Southern California with her family, her rescue dogs and a flock of uppity chickens. 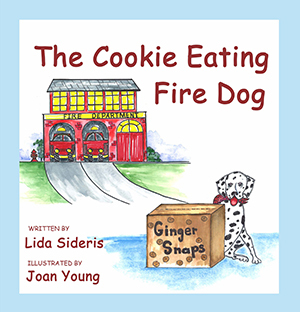 Lida was one of two national winners of the Helen McCloy/Mystery Writers of America scholarship award for her first book.